Sumimasen -the word that works for everything. I'm sure there are uses I left out, and will most likely put in future strips. Sumimasen is one of my favorite Japanese words, and I marvel at how effortlessly people use it in various situations. I forgot that creating a comic about living in another country gives plenty of opportunities to teach language and how it relates to the culture. As I grow as a cartoonist, I hope these examples of "international cartooning" improve over time. Japanese word meaning, "I am sorry". Sometimes used together with doumo. "Doumo sumimasen" also means I'm sorry. Often in conversation "doumo sumimasen" or "sumimasen" are used in place of "Thank you". Perhaps Japanese feeling is, I'm sorry bothering you, but thank you very much to be so considerate. 1. Sumimasen I broke your dish. 2. When a gentle person gives away a seat on a crowded train to an aged person, the person who received the favor may say, "sumimasen" or "doumo sumimasen". 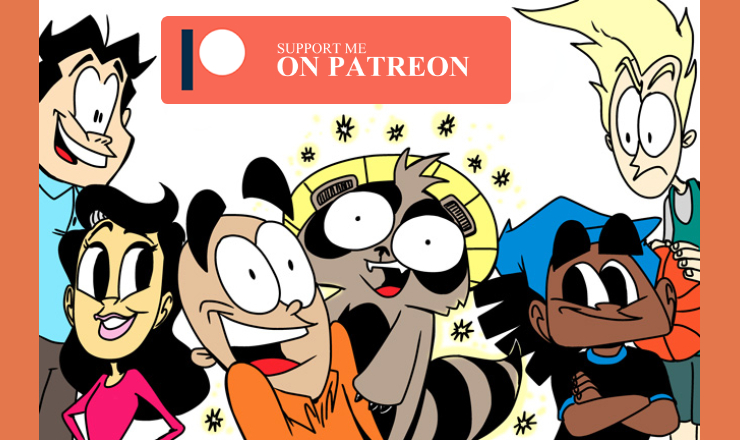 Thanks for your support and don't forget to like and share the comic with the world! Goodness knows, Disney does not need my endorsement or free advertising, but I had to let you know how enjoyable it was at Tokyo DisneySea theme park in Japan. Even in a typhoon. That’s right. A typhoon was ripping its way up the western side of Japan at the time, and we were so afraid of getting weather bashed-out of all the fun. Fortunately, the weather cooperated, somewhat. We did get hit with strong winds and some rain, but generally, it was bearable. You want to know the best part? Bad weather means fewer people at the park! So, there were shorter lines and less wait time for rides. I have a feeling that DisneySea is not as famous as Tokyo Disneyland, so there are fewer visitors. It’s one park where as soon as I entered, I felt transported to another world! The gorgeous architecture in the harbor grabs you as you first walk in and is influenced by the Mediterranean, with a bit of fantasy flair! Every area feels like another adventure and even when it’s busy, feels relaxed and comfortable. I will admit that the rides are not as fantastic compared to Disneyland, but they are enjoyable and imagination filled. The more intense ones are in the Lost River Delta area where you can explore with Indiana Jones or take a roller coaster ride through Raging Spirits. One of my favorites was the FINDING NEMO ride at Port Discovery. It made you feel like you were in a small submarine going on adventures with Nemo and Dory through the ocean. If you get seasick though, this is NOT the ride for you. Plenty of rocking and gliding up and down! In the American Waterfront area that looks like New York City in the 1920’s, you have the famous Tower of Terror ride, which we didn’t get on because we’ve been on it in America and the Turtle Talk experience where you can talk with an animated version of Crush the green sea turtle from Finding Nemo. This one was surprisingly fun, and even though it was in Japanese, relatively easy to understand. I love the Toy Story movies but the ride, Toy Story Mania!, even in bad weather, was the one ride that was packed all day long with insane wait times, so we had to skip it. If you had a chance to make it in, let me know what you thought! The Mysterious Island area looked the coolest, and we had fun riding 20,000 Leagues Under The Sea. We will need to go back to the Arabian Coast and ride Jasmine’s flying carpets -even though it’s basically the Dumbo ride. Because the weather was rough due to the typhoon, it was an excellent relief to head over to Mermaid Lagoon where they have an entire indoor play area with rides, food and a playground. Our absolute favorite show was in the Mermaid Lagoon Theater where a performer, dressed as Ariel, is suspended from the ceiling on wires and swings around over the audience below like she's swimming and sings well-known songs from the Little Mermaid film. My eight-year-old daughter loves mermaids and almost didn’t see it. We waited forty-five minutes to get in and as soon as we sat down, with amazing seats, by the way, she says, “I need to go to the bathroom!” Really? We were just standing all that time, and you didn’t think about going then? She couldn’t hold it so my wife, who watched this show here before, was kind enough to take her out to the restroom but of course, the theater needed to close the show so they couldn’t get back in. They thought it would be best for me to at least stay and watch it since we waited all that time and I’ve never seen it. I must admit, it was pretty fantastic and felt like a small Cirque Du Soleil show! When it was over, I was so ecstatic about the experience, my daughter was more than ready to stand in line again. She loved the performance, and I was glad to see it a second time! Make sure to look for the Mermaid Lagoon Theater, it’s pretty hidden in that indoor play area, and see the show when you go. All in all, it was a fantastic trip to Tokyo DisneySea even in such a massive storm. We never got extreme rain, but some pretty strong winds hit us a few times. In the evening, we stayed to watch the Fantasmic Mickey Mouse light show that was pretty fun. They had to modify it a bit due to the weather but still worth watching. For a new Disney parks experience, I strongly recommend taking your family there next time you’re in the Tokyo area. Ta-ta for now. See ya' real soon! How To Get Specific and Bring Your Work ALIVE! Let’s just say you want your art, writing or comics to feel more genuine and appealing to your audience. I’m finding that making sure to add in specific aspects of the culture or area where the characters are living but adding problems we all recognize, makes your work feel ultra-specific but relatable at the same time. For this Little Fried Chicken and Sushi comic, I needed to show Tanuki using his magic and the theme for the week’s strips was Origami paper folding. That in and of itself pertains to Japanese culture, but I wanted to see if I could add more. I jumped over to Google and looked up the most popular things to make with Origami. Cranes, shuriken, boats and paper cranes came up. A boat! They could be riding on a large origami boat that Tanuki made. But where? It could be going down the river in their town of Shimamoto but the background is rural so would not look like any recognizable place in Japan. 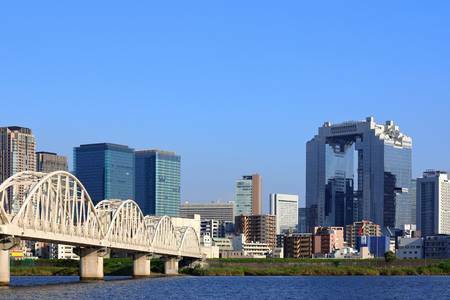 Choosing the Yodo river that runs through Osaka city would give more choices of buildings and bridges to draw that readers who have been to the city would know. Drawing the Umeda Sky Building behind them was a fun addition. The curving white bridge to the left of them- I have no idea what it’s named- is a well-known sight in Osaka as well. That was an easy answer for this strip. The boat is made out of paper! Perhaps, Tanuki’s magic is surrounding the paper boat and allowing them to stay afloat but the fact is the situation is odd. Come to think of it, so is a ‘paper’ boat! You know, if this were real life, someone would have pointed that out. J is usually the character who thinks about important issues or solves problems creatively. So, it felt natural that he should be the one delivering the punchline. When you’re writing or drawing, keep asking yourself how you can make it specific and general at the same time. Give people something they know and something new they’ve never experienced before. Make them curious and then surprise them! Fireflies are a beautiful part of June in rural areas of Osaka. Tanuki adds a little magic to the experience in this comic! Would you soar with real fireflies? I remember it was magical going down to the river when I was living outside of Osaka city in Shimamoto, to see the fireflies in the evenings of mid June. All the kids out trying to catch them or count how many they can spot first. Go out and make some magical memories with your friends and family this summer! Time really ‘flies’ by fast. If you grew up in the south, you must have called fireflies ‘Lightnin’ Bugs’ at some point! Even if you were in other parts of the U.S., I bet you did. My wife was raised in the city and never saw them before visiting my little suburban town of Shimamoto, back when I lived in Japan. I’ll never forget how excited she was to see them for the first time. I loved seeing fireflies growing up in Atlanta, Georgia. It was so magical to go out on a summer evening and look for them by the creek. Other kids were talented at catching them and pulling the fireflies apart to add to necklaces. That was a little too cruel, and gross, for me. I did enjoy capturing them in jars though to watch them light up together. It’s a blessing to have an opportunity to share summer memories with you through writing and comics. Hope yours is the best yet! New Little Fried Chicken and Sushi comic strips relaunched on Monday, March 26 here and on GoComics. There was one change to the strip. Did you notice? That's right, Tanuki's character design got an upgrade! He's cuter and has actual hands that will make it easier to create gags where he needs to hold objects. 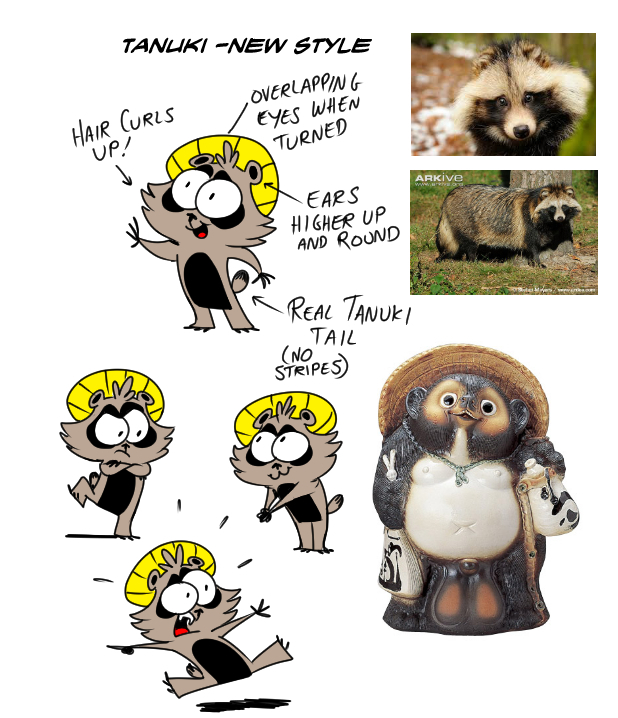 Take a look at this model sheet I put together with pictures of actual Tanukis for comparison. What do you think about his new design? Let me know in the comments. Gudetama gets cooked! In a real restaurant? Surely you’ve heard of Gudetama the egg character from Sanrio, the same company that brought you Hello Kitty. He whines about not wanting to do anything and his purpose in life is to lie around and wait to be eaten. He’s all over the internet and television in Japan, with over 650K followers on Twitter and animated shorts on the TBS channel. I love this guy and think he's pretty hilarious! You can imagine my surprise when I was out with my wife shopping in Osaka and came across a restaurant named Cafe Costa Mesa in Namba Parks that was serving special dishes with eggs that look like Gudetama. I’ll admit, we didn’t have time to eat there but I had to take a few pictures for you. Cafe Costa Mesa serving breakfast, desserts and even salad with Gudetama. Looks like they have merchandise as you walk in. Gudetama is Sanrio’s most unmotivated character and has absolutely no energy to move. The first part of his name, Gude pronounced (goo-deh) is a Japanese onomatopoeia for describing something or someone with no strength. Tama comes from the word tamago, which means egg. Even though he looks like just one character, he actually represents every egg in existence since the age of dinosaurs! Sometimes you even see two of them lying around making sure to do nothing. You can buy merchandise with Gudetama on it like chopsticks, keychains, pens and iPhone cases. Now, you can go to a restaurant and eat him! After all, the saying on his Twitter account page is, “I’m only going to be eaten in the end.” Thanks Cafe Costa Mesa for giving us the opportunity!